The clip above shows Nicki Minaj backstage during commercial breaks at a recent taping of 106 & Park where she appeared on the show alongside Robin Thicke for a performance of Robin’s latest single. Here are some more pictures from Jingle Bash in Atlanta the other night! We posted up some Nicki Minaj pics three days ago, but here are some Shanell and Lil Chuckee photos. It’s done. Drake’s collaboration with Jay-Z, “Light Up,” is finally finished. The Toronto lyricist had been hopeful all year that he and Hov could connect in the studio. Drake recently sat down with MTV News in his Canadian hometown and explained how the song, produced by Tone Mason and co-produced by his October’s Very Own cohort Noah “40” Shebib, came to fruition. 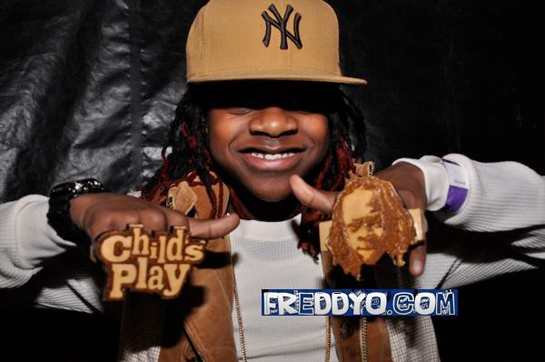 The track will be included on the rapper’s forthcoming debut, Thank Me Later, tentatively slated for a March release. The pair previously worked together on Jay-Z’s “Off That,” from Hov’s The Blueprint 3 project. The Timbaland-produced track, however, only featured Drake on the hook instead of contributing a verse alongside Jay. 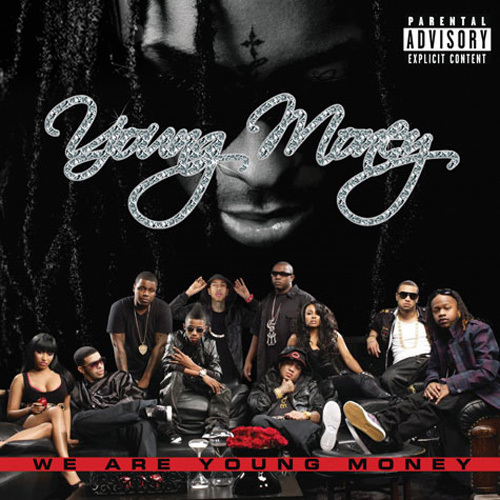 This time, the two MCs both had their say on “Light Up.” Though the upstart MC was able to recruit the Roc Nation head into the fold for his first album, in addition to expected collabos with Lil Wayne and Kanye West, Drake said he’s trying to downplay the guest list and focus on his humble beginnings. “At the end of the day, one of the biggest things I’ve been toying with on Thank Me Later is that it’s kind of hard for me to come out and be like, ‘I’m still the underdog,’ ” Drake told Mixtape Daily recently. Here is a new track by Lil Twist which he dropped via his Twitter page. 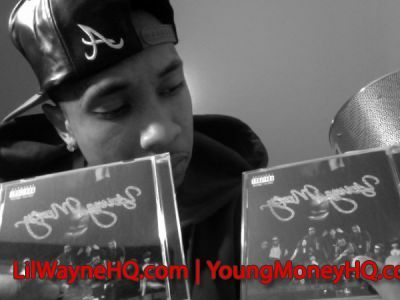 He remixes Wiz Khalifa’s “Boarding Pass“, and you can listen and download it below. 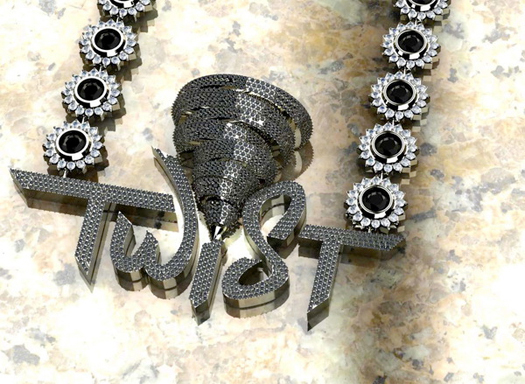 Also, check out Twist‘s new chain in the pic above which is the same design as the tattoo on his back!